OHRP ---> Alerted on chatroom when it broke above its 20 Moving Average and since then, it rose more than 11% on strong volume. Now, it has some resistance around $0.70 area but, chart is showing us that buyers are in control, which leads me to believe that a break above $0.72 will burst it to $0.80´s level!! On watch. DRAD ---> Shares of Digirad Corporation rose in last trade session more than 15% on strong volume and strong Accumulation! 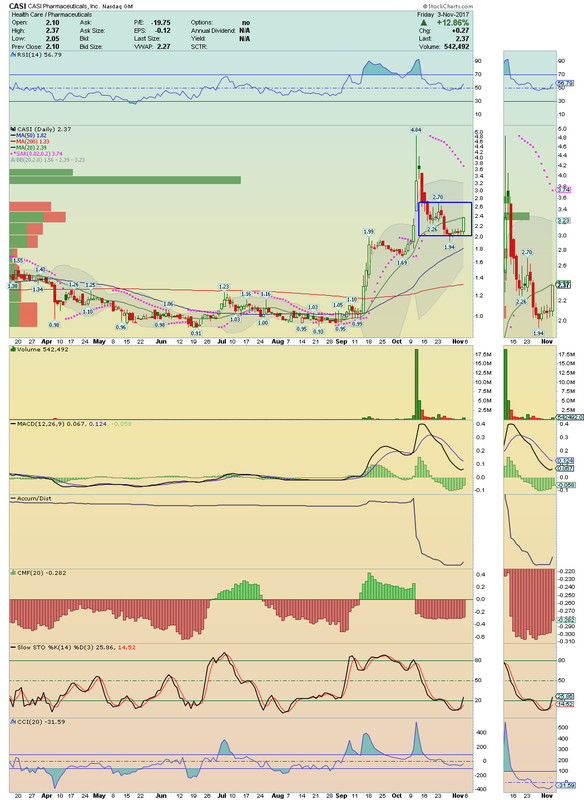 This Bottom Bounce Player has some resistance now at $2.65 area! A break above this area will provide us our first target, its 50 Moving Average, keeping an eye on $3.40 level in case if breaks its 50 Moving Average! The Momentum is strong here! Worth watching. CASI ---> Shares of CASI Pharmaceuticals climbed up more than 15% from its solid base on high bullish volume, going to close very close of its 20 Moving Average and at High of the Day! 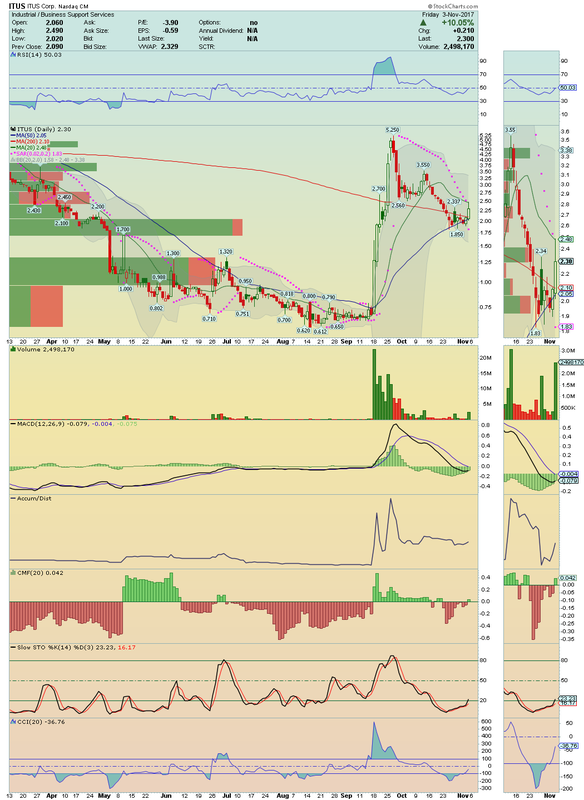 A break above its 20 Moving Average will show us our first target, which is $2.70! 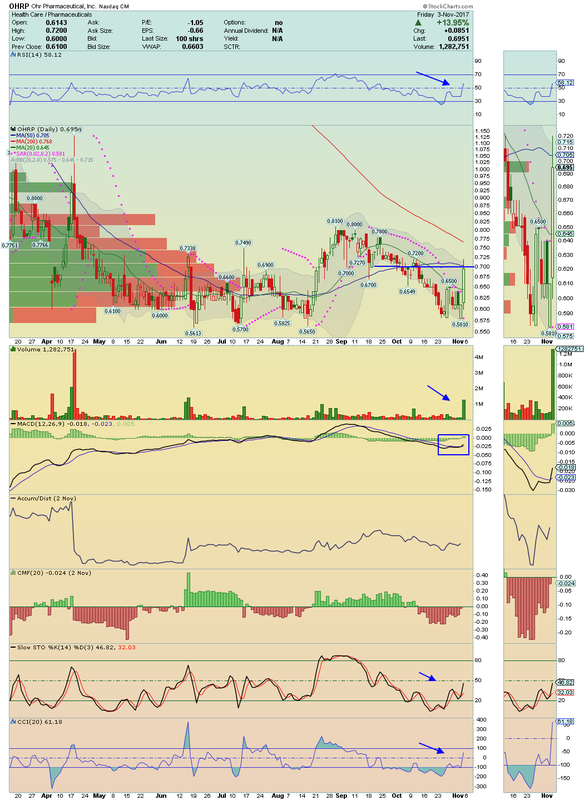 This stock is gaining Momentum now, as we can see on its technical indicators, which are starting to curling up! As i alerted on chatroom, CASI has here lot´s of potential! Makes sense to keep closely. 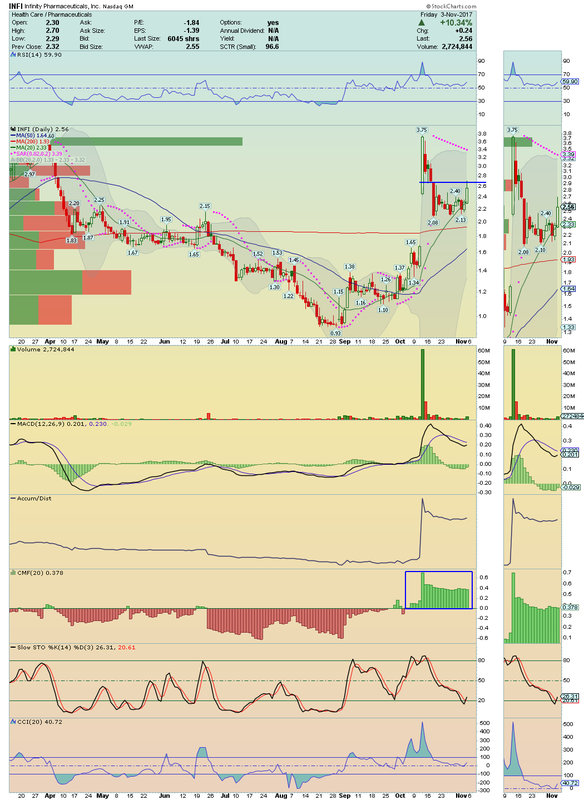 INFI ---> Shares of Infinity Pharmaceuticals are setting up for a big upside movement! It is trading under a very healthy Money Flow and under strong Accumulation! 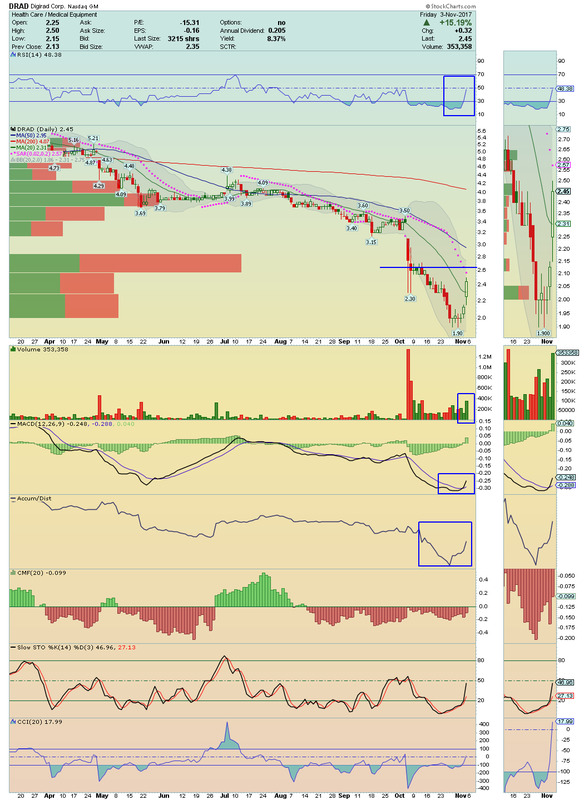 I´m long and strong here to see the break above $2.70 area! It can explode higher toward $3.75. 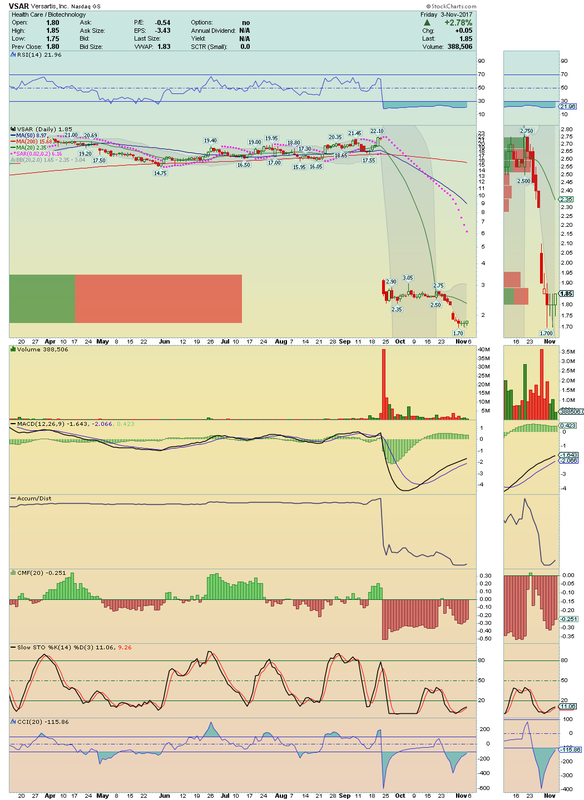 VSAR ---> Extremely oversold, this setup looks found some stability on $1.78 area! 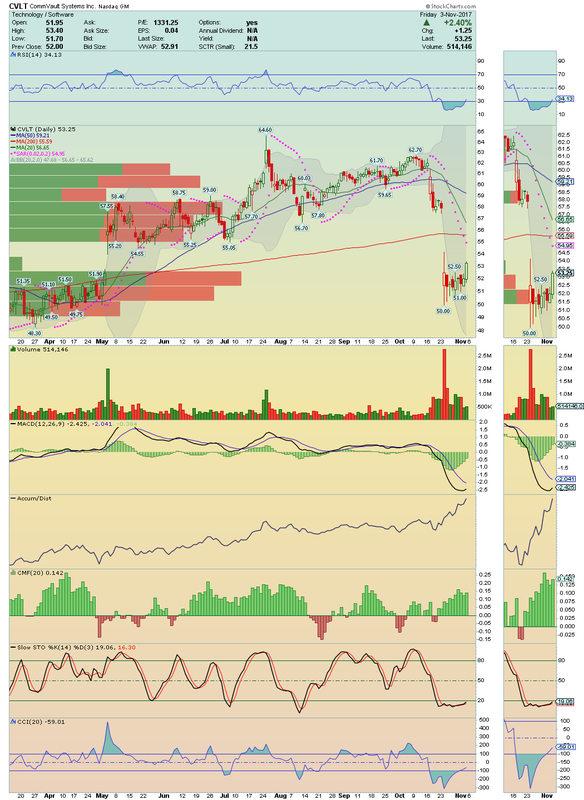 With MACD rising strongly, we may have here a strong candidate for a Bounce! I´ll be watching very closely for a possible test to its 20 Moving Average. ITUS ---> Alerted for this setup earlier on Friday on social netowrks! The price close on Thursday colliding between its 50 Moving Average and its 200 Moving Average, and a break above the last one, will put the price pointed to higher! And so it happened. Shares rose more than 10% during the regular trade session on strong volume going to test its 20 Moving Average! I´m long and strong here to see this break! If it happen on volume, ITUS will certainly spike higher. CVLT ---> It is a great Bottom Bounce! And it is ready to move up! Trading under strong Money Flow and Accumulation, its shares rose on Friday about 2.50% on regular trade session with high volume!! Also, technical indicators are starting to curling up, showing that buyers are coming back. 200 Moving Average could be the next target.